The two masted schooner named Sweepstakes, was damaged off Cove Island in 1885. Prior to sinking the schooner was towed to Big Tub Harbour where it sank. Fathom Five National Marine Park offers some of the best fresh water diving opportunities in Canada. There are over 20 shipwrecks in the vicinity many with their hulls still intact. 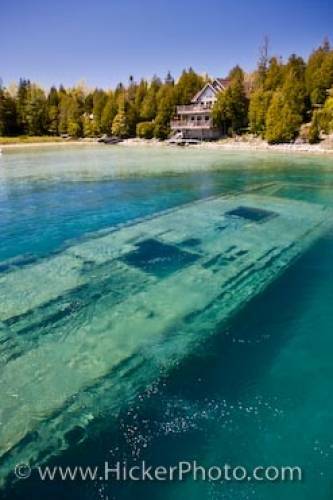 in Lake Huron, Ontario, Canada.